Location! Location! Location ! 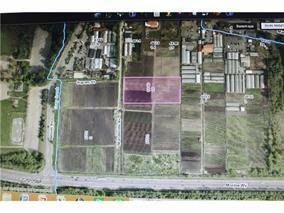 Can you imagine owning this 1.947 acres farm land located in CITY OF BURNABY within minutes to everywhere in GREATER VANCOUVER AREA ! This fertile land are great for organics vegetables, Aquaponics farming ,GREEN HOUSES for vertical farming etc. Owner have done extensive research and consulting with city of Burnaby for variety of uses . ARCHITECTURE DESIGN and floor planning , information package are available upon request and owners are willing to help in construction, managing the project for potential buyer . Land is on ALR.